Beauty Therapy College - Things you should look out for! With a growing trend towards careers in the beauty industry, there is a high demand for state of the art Beauty Therapy Colleges to provide premises, equipment, training and guidance for peoples first job in Beauty Therapy. It is important to start a career in an industry that you have an active industry in and will enjoy during your working life. Beauty Therapy Courses provide you with the skills needed to excel in this industry and more importantly the courses allow you to try the profession and decide whether it is a good fit for you. We have experience with hundreds of people in the same situation as you who may not be fully sure on the path they want to take in their working life – This post is here to talk a bit about the state of the art Beauty Therapy Colleges we have here at LBTA, what you can expect from taking a course with us and a bit of information about the different options that are available to you. What are the courses we offer at our Beauty Therapy College? We have a wide range of Beauty and Makeup Courses available at our Beauty College – We try to cater to all of our potential learner’s needs and have a course suitable for everyone’s aims and requirements from their Beauty Therapy Courses – Our courses cover everything from makeup, nails, massages, beauty therapy and everything in between. We will now go through our two Beauty Therapy Courses explaining the different things you will learn and what you can expect – If you want to, you can head over to our Beauty Courses page to check the entire range of courses we offer. The VTCT level 2 course aims to give all learners the relevant and main practical skills that are needed in order to work within the beauty therapy industry. 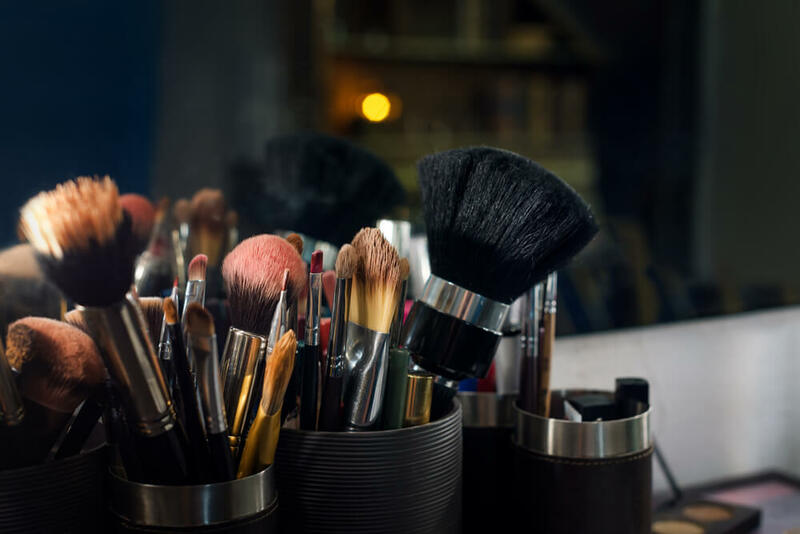 The course will help learners seek employment in both the beauty and spa industry and all of the things covered in this course relate directly to the general job description of a junior beauty therapist. Some of the main things that learners will be taught are outlined below. Application of Makeup and developing an understanding of face shapes. In addition to this learners will become familiar with some of the state of the art equipment that we have in our training academies and will be taught all of the main health and safety implications when performing beauty therapy treatments. Upon the completion of your Level 2 Diploma you will be primed and ready to enter a career in beauty therapy. Specifically, you will be able to work in a commercial beauty salon, department store or become a self-employed beauty therapist. The VTCT Level 3 Diploma is similar to the level 2 diploma but takes everything to the next level. Not only will learners have the necessary skills needed to excel in the industry but learners will be primed and ready for either a career in the beauty industry or going on to do further learning at level 4. Similarly to the level 2 course, the tasks that are set for learners work towards the job role of a beauty therapist. Some of the main techniques and treatments that you will learn are outlined below. Consultation – With the Level 3 Diploma, learners will learn how to create tailored treatment plans based on the sessions with customers. You will learn how to identify different body types, body fat and carry out a variety of different skin analysis tasks so that you can effectively create a package to meet the customer’s needs. Massage Styles – This will allow learners to look at the various Massaging Techniques; how to perform these massages, how to apply preheat to clients and adapting the massage to the client’s needs and requirements. Electrotherapy Treatments – A key difference between level 2 and level 3 diploma as that the electrotherapy treatments are taught at level 4 and provide learners with the ability to carry out a variety of relevant tests and equipment to treat a variety of different skin types and issues such as – Stimulators, Microcurrents, Vaccum Suction and High-Frequency electrotherapy treatments. Once you have completed the course you will be primed and ready to head on to a level 4 course or working a variety of exciting premises such as – Beauty Salons, Health Spas, Hotels and Health Clubs. You can check out more information about the VTCT courses we offer by heading to the link provided. There a variety of things that should influence your decision when looking for a Beauty Therapy College – It is important to make sure that you choose the right place for you as you will spend a lot of time studying and learning at your chosen college. Below we have listed some of the main things to think about when looking at Beauty Therapy Colleges. Location – Location plays a big part when picking your Beauty Therapy College as you will need to be able to access this easily and comfortably – Having ease of access to your college will allow your motivation and productivity levels to stay high – We have two beauty colleges in London one of them in Chiswick and the other in Borehamwood. Equipment – This is one of the most important factors to consider as you will need a beauty college that has state of the art equipment and access to the latest technologies. All of our academies are stocked with the latest equipment so that learners are exposed to the latest technology and the environment itself mimics that of a high-end Beauty Salon in London. LBTA are committed to offering the best Beauty Therapy courses that London has to offer – The courses themselves prepare learners for a direct role working as a beauty therapist. All of the tutors that work for LBTA are expertly trained and have experience working with a range of learners that all have different learning styles and needs. All of our courses are flexible so that we can tailor our services and courses to fit in with the needs you have for your beauty therapy college. If you have any questions about the things covered in this post or would like to head on down to an upcoming open day then please get in touch with a member of the LBTA team and we will be happy to answer any questions that you may have.